THE DOIDY CUP offers a unique slant on baby weaning and open cup training. The two-handled Doidy Cup, has been scientifically designed with a unique slant in order to teach infants to drink from an open cup, rather than from a spout or a teated bottle. Health Professionals, the Government* and leading health organisations such as The British Dietetic Association* are active in recommending the introduction of an open cup at around 6 months of age and completely stopping the use of a bottle by 12 months. As well as teaching valuable skills there are a number of critical health benefits associated with open cups compared to other drinking vessels. The above benefits allow mothers to make the move from breast to open cup in one step rather than introducing a teat or spout. NATURAL PROGRESSION – Drinking from the Doidy Cup is a natural progression from breast feeding because it uses the same suckling action. HEALTHY SKILLS – Drinking from the Doidy Cup encourages good oral movements and helps to develop chewing skills as the jaw, tongue and mouth muscles are used. It also helps with hand, eye co-ordination. 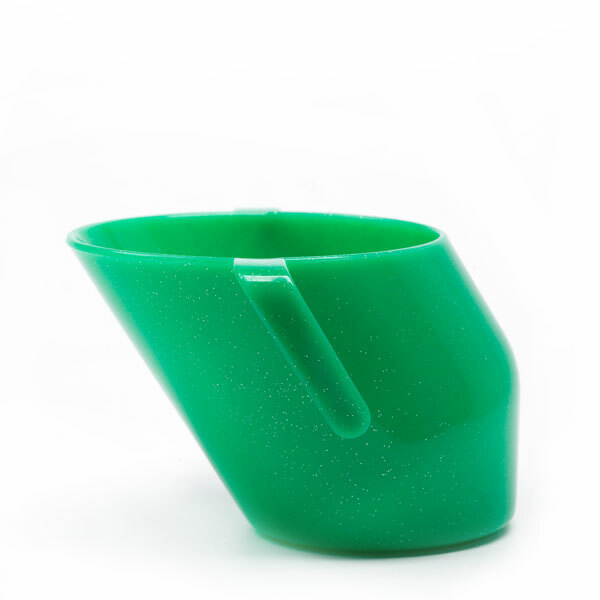 RELIABILITY – For almost 70 years the Doidy Cup has been helping children learn to drink from an open cup. 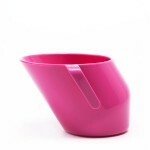 Doidy Cups are sold by the National Childbirth Trust (NCT). FEATURES – 200 ml capacity, hygienic, steriliser-safe, dishwasher-proof (top shelf) and freezer-proof, available in 17 colours including a solid, pearlised and sparkle finish. They are manufactured in the U.K. from virgin food safe HDPE, and DO NOT CONTAIN Bisphenol, Phthalates or PVC. They conform to EN 14350 regulations. Doidy Cups are fully recyclable. U.K. – Available from Asda, Dunelm, John Lewis, JoJoMamanBebe, Kiddicare, Ocado, Sainsburys, pharmacies as well as online from Amazon. RECOMMENDATION – Health Professionals including Health Visitors, Dietitians, Dental Professionals and Speech Therapists recommend Doidy Cups for easier weaning but also to help prevent long term health problems caused by delayed weaning from the bottle (see Oral Health Tips – Cup Training).